Sign up SP58 today for only RM58 per month at any one of our Premier Shops. * Terms and conditions apply. All prices stated exclude Service Tax. This is an exclusive all-in-one data and voice promotion plan for new MNP Port-In customers only. When will this plan be available? This plan is available effective from 18 September 2018 to 31 December 2018. 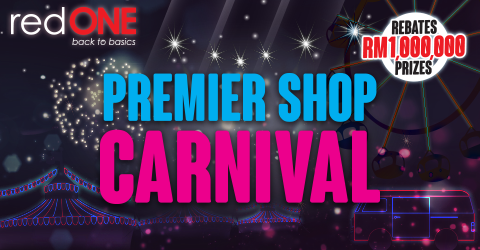 You can sign up at any redONE Premier Shops and Branch Office available near you (excluding Senheng). Only MNP Port-in customers starting from 18 September 2018 (excluding M2M). Is there any advance payment required for this plan? Yes, this plan is subject to a contract period of 6 months. Are the unlimited voice calls for SP58 Postpaid plan include calls to fixed lines e.g. 03 numbers? Yes. The unlimited voice calls to all networks include all domestic calls to mobile numbers and fixed line numbers in Malaysia.Video calls and calls to special numbers are excluded. I ported in to the SP58 Postpaid plan. What happens when I exceed my monthly Data Bundle quota? I am an existing RP8 customer. 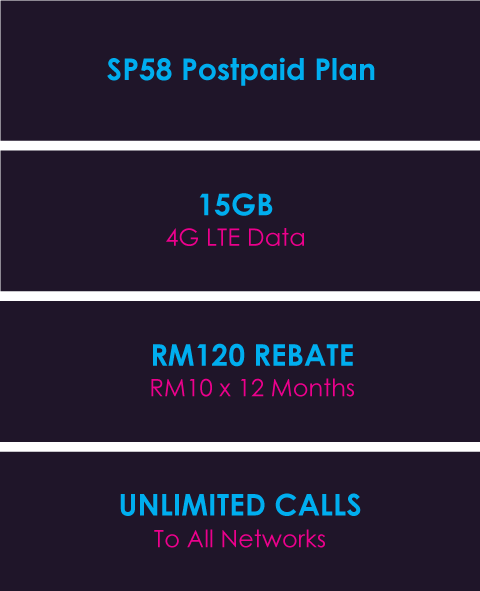 Can I change my plan to the new SP58 Postpaid plan? No, but you can MNP port-in a number to SP58 Postpaid plan as a supplementary line. What happens if I terminate my line within the 6-month contract period? You will need to pay a termination penalty of RM100 as specified in the Customer Agreement Form that you’ve signed. This SP58 Postpaid Plan is available from 18 September to 31 December 2018. This plan is valid for MNP Port-in customers only. M2M lines are not eligible to sign up for this plan. The customer’s first bill will be prorated based on the customer’s allocated high-speed data usage. Customers will enjoy the stated rebate for over 12 months. The first rebate will be given once the line is being activated. Monthly access fee for SP58 Postpaid Plan is only for the allocated high-speed data and unlimited calls to all networks in Malaysia. Upon 100% utilisation of the high-speed allocated data, the subsequent usage will be data throttling at 64kbps speed. Customers may opt to purchase Data Top Up to continue surfing the internet at high speed. Unlimited voice calls to all networks are subject to our Fair Use Policy, which may be implemented if you exceed 100 hours a month. The complete Fair Use Policy can be found here.